This book explores the much debated relation of language and bodily experience (i.e. the 'flesh'), considering in particular how poetry functions as revelatory discourse and thus relates to the formal horizon of theological inquiry. The central thematic focus is around a 'phenomenology of the flesh' as that which connects us with the world, being the site of perception and feeling, joy and suffering, and of life itself in all its vulnerability. 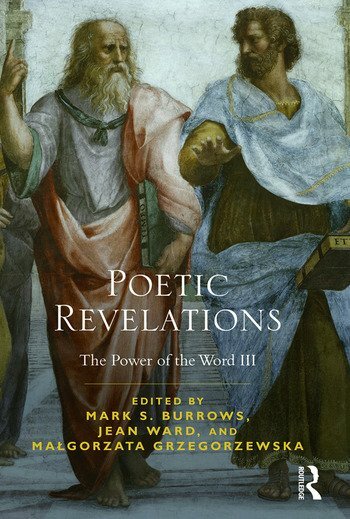 The voices represented in this collection reflect interdisciplinary methods of interpretation and broadly ecumenical sensibilities, focusing attention on such matters as the revelatory nature of language in general and poetic language in particular, the function of poetry in society, the question of Incarnation and its relation to language and the poetic arts, the kenosis of the Word, and human embodiment in relation to the word 'enfleshed' in poetry. Mark S. Burrows is Professor of Religion and Literature at the University of Applied Sciences in Bochum, Germany. Recent publications include two volumes of German poetry in translation: Rainer Maria Rilke’s Prayers of a Young Poet (2013) and the German-Iranian poet SAID’s 99 Psalms (2013); a forthcoming volume of his recent poems, The Chance of Home, will be published in 2016. Jean Ward is Professor of English Literature at the Institute of English and American Studies, Gdansk University, Poland. Her publications include Christian Poetry in the Post-Christian Day: Geoffrey Hill, R. S. Thomas, Elizabeth Jennings (2009) and a translation of Tadeusz Slawek's monograph, Henry David Thoreau – Grasping the Community of the World (2014). Malgorzata Grzegorzewska is Professor of English Literature at the Institute of English Studies, University of Warsaw, Poland. Her most recent book is entitled George Herbert and Post-Phenomenology: A Gift for Our Times (2016).